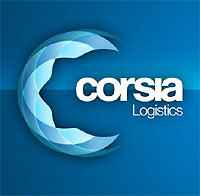 Corsia Logistics is licensed and insured vehicle transportation company. We hire only verified carriers with high safety ratings and solid experience to provide reliable car shipping services. Corsia transports all makes and models vehicles � from standard SUVs and sedans to exotic, sports and classic vehicles. Customers can choose between enclosed and open auto transport trailers. Our website offers easy to use car transport quote form. We take the time to manually find the best rate for each customer. Our agents monitor the fluctuation of the shipping prices constantly and we deliver accurate car shipping quotes.